With wide expertise in this domain we have presented to our clients High Speed Steel Milling Cutters. The range offered by us include Counter Sink Cutter and Step Drill Cutter. Our vendors professionals develop these products using high grade machines and equipment under the adherence of set industry standards and norms. Moreover, for our clients maximum satisfaction we test these products in various parameters to ensure their flawlessness. Clients can avail these from us at industry leading prices. We are majorly looking for queries from Middle East & Africa. 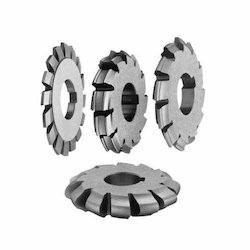 We are one of the noted providers of High Speed Steel Milling Cutters that are designed with international quality standards. 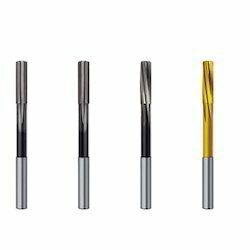 These HSS Milling Cutters are made up of high speed steel and typically used in milling machines or machining centers and ideal for cutting keyway slots. These HSS Milling Cutters are highly durable and efficient in use. We are majorly looking for queries from Middle East & Africa. We are renowned trader of a gamut of High Speed Steel Reamers available in parallel shank taper pin hand reamer, parallel shank hand reamer, taper shank machine reamer, chucking reamer and shell reamer types. We offer these in HSS grades such as M42 and M2. These are made up of high speed steel and widely acclaimed in the market for their reliable performance, durability, strong construction and resistance to corrosion. WE ensure that our vendors comply to both national and international standards while manufacturing these products. We are majorly looking for queries from Middle East & Africa. Looking for High Speed Steel Milling Cutters ?